Expert Review of On the Reliability of the Old Testament by Kenneth Kitchen, one of our picks of the top Jewish books for kids! For more than two hundred years controversy has raged over the reliability of the Old Testament. Questions about the veracity of its colorful stories of heroes, villains, and kings, for example, have led some critics to see the entire Tanach (Hebrew Bible) as little more than pious fiction. In this fascinating book, noted ancient historian K. A. Kitchen takes strong issue with today's "revisionist" critics. 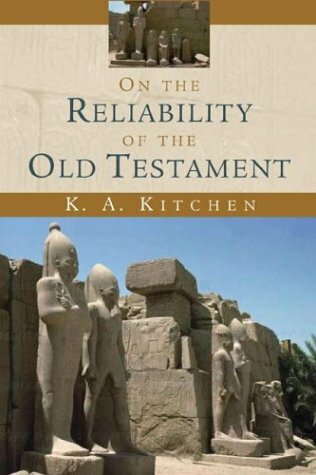 With his rare dual expertise in both Biblical and Egyptian scholarship, Kitchen offers a firm foundation for the historicity of the biblical texts.